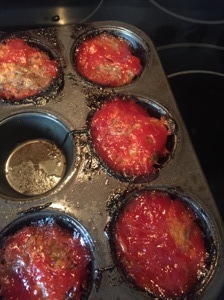 I was recently asked what cooking implement, utensil or gadget could I not live without in cooking and while a million things flooded my mind, a muffin tin kept coming around. It is such a versatile pan as evidenced by the recipe below. These muffin-tin meatloaves are perfect for easy eating. Looks like meatloaf to me. 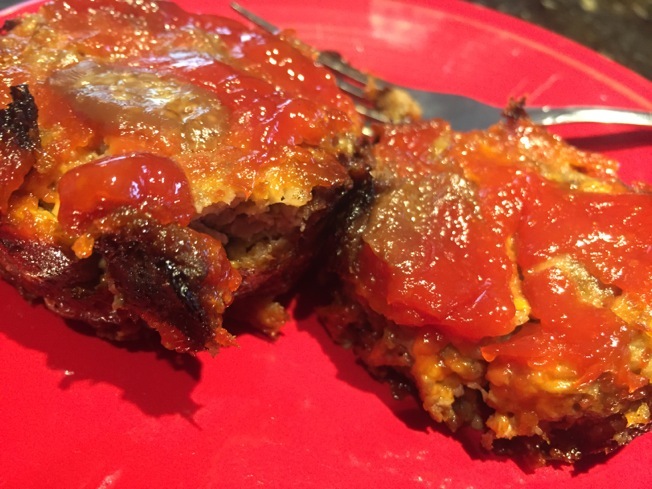 I like the slightly crunch edge to meatloaf the best and with the tins, you get a lot of that. 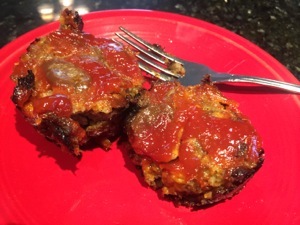 A mini meatloaf but a big taste! 2. 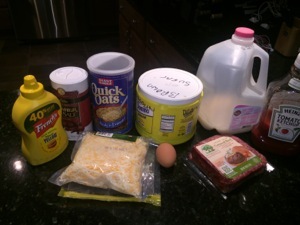 In a large bowl, combine the egg, milk, cheese, oats and salt. 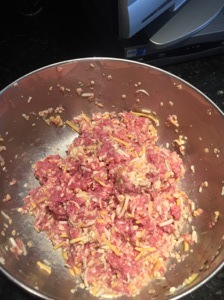 Add the ground beef, mixing well, and form this mixture into eight miniature meatloaves. Place these in a lightly greased 9×13 inch baking dish. 3. In a separate small bowl, combine the ketchup, brown sugar and mustard. Stir thoroughly and spread over each meatloaf. 4. Bake, uncovered, at 350 degrees F (175 degrees C) for 45 minutes. 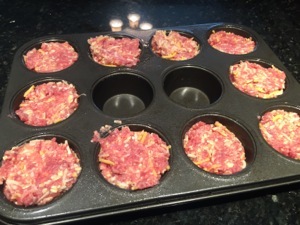 Great idea using a muffin pan for meatloaf. I am pinning this and making it this week. Thank you.